Sweden made a winning start to their UEFA European Women's Under-19 Championship defence but the headlines were made elsewhere as the first qualifying round got under way with a flood of goals. There were 116 in all, across 20 games, and Serbia, Ukraine and Spain contributed more than most as they all racked up their biggest wins in this competition. Serbia skipper Jovana Damnjanović struck six as Milan Rastavac's side, who graced the final tournament for the first time this summer, overwhelmed Latvia 15-0. Mima Stanković also weighed in with four goals for the mini-tournament hosts to give next opponents Cyprus plenty to ponder ahead of Monday's meeting. The island side apparently have much to do after starting their campaign with a 3-0 loss to the Republic of Ireland. Italy made light work of Kazakhstan with Luisa Pugnali, a member of this summer's FIFA U-20 Women's World Cup squad, scoring twice in a 6-0 victory. 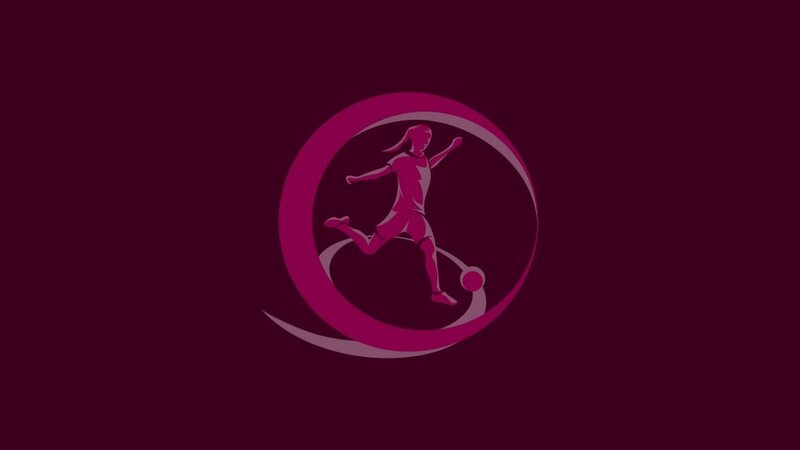 The other fixture was an altogether tighter affair as Isabella Dujmenovic helped Austria to a two-goal lead against Greece and although Lamprinitsa Lymperakaki pulled one back, the hosts held on. Ukraine could afford a missed penalty and still bring up double figures against the Faroe Islands, skipper Darya Kravets making amends with a hat-trick. There was another squandered spot kick in the other game, by Maria-Laura Aga, but it was more telling as her Belgium side struggled to break down Croatia. Her captain, Julie Biesmans, scored the only goal of the game. Simone Magill was yet another skipper to lead by example as two first-half goals earned Northern Ireland a 2-0 win against Poland. Next up for Alfie Wylie's side is a meeting with the other matchday one victors, Hungary, who had 17-year-olds Evelin Mosdóczi (2) and Noémi Vöfély to thank for a 3-0 triumph over Lithuania. Carolina Richardson struck a hat-trick as Scotland beat Belarus 8-0 but on the return to Antalya, stage for the 2012 finals, the other game caught the eye as Norway took on Turkey. First-half goals from Vilde Risa and Lisa Naalsund earned Norway the points. Three Denmark goals in as many minutes early on set the tone for a heavy 11-0 win against Moldova, with Camilla Andersen scoring four. Søren Randa-Boldt's players are likely to be pushed harder on Monday by a Slovakia side that kept Iceland at bay for over an hour before four late goals earned the Nordic outfit a 4-0 victory. Spain, the 2012 runners-up, pulled off the biggest win of the day as Laura Ortiz scored four and Alexia Putellas three in a 16-0 triumph over Estonia. The other game also had a one-sided appearance, but only after three goals in the last eight minutes helped Finland extend their advantage over a flagging Bulgaria to 6-0. Semi-finalists this summer, Portugal endured a nail-biting finale in Sarajevo when the Former Yugoslav Republic of Macedonia halved their lead but held on to a 2-1 win. The Czech Republic ensured no repeat in their game against Bosnia and Herzegovina, scoring five second-half goals in a 6-1 win, including two for senior international Nikola Danihelková. Sweden made an impressive start to their defence, Pauline Hammarlund scoring a hat-trick in a 6-0 victory over Slovenia. It gives Calle Barlling's side a narrow lead atop the section ahead of Russia, whose 5-0 win against Azerbaijan was kick-started by an audacious 35-metre free-kick from Ksenia Kovalenko, 17. Alexandra Lunca gave Romania a 1-0 lead against the Netherlands but Jeslynn Kuijpers ensured the Dutch went into half-time level and their superior fitness levels saw them through in the end, winning 4-1. No such problems for Switzerland, 5-0 victors against Israel, who are hosting the section as preparation for staging the 2015 final tournament. The teams are all in action again on Monday. "We will learn much about our opponents in Russia but more about ourselves," Sweden coach Calle Barrling told UEFA.com as his new-look team prepare to defend their title. Favourites Germany suffered disappointment in Saturday's FIFA U-20 Women's World Cup final as the United States regained the title with a hard-fought 1-0 victory in Tokyo.